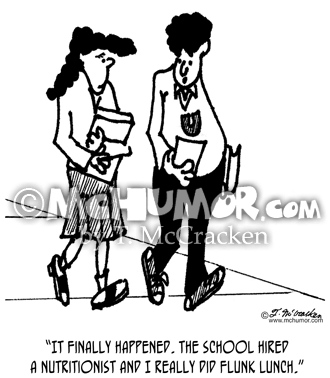 Nutrition Cartoon 3199: Kid to another, "It finally happened. 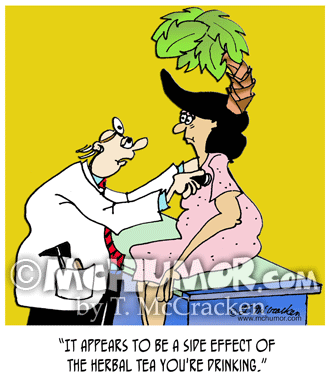 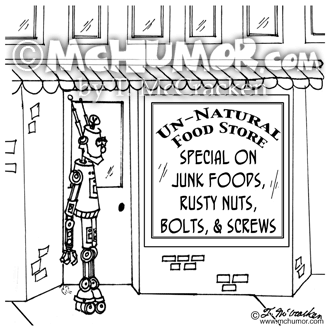 The school hired a nutritionist and I really did flunk lunch." 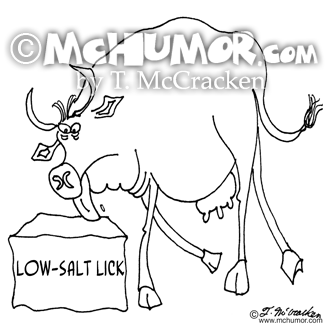 Beef Cartoon 3220: A cow licking a "Low-Salt Lick." 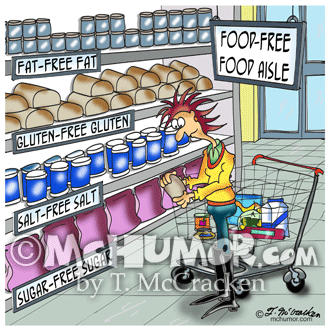 Convenience Food Cartoon 5902: "Convenience & Inconvenience Foods." 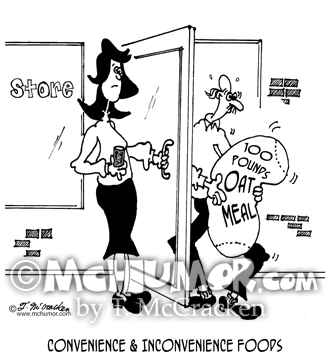 A woman with a candy bar holds the door for a man who's just bought a 100-pound bag of oatmeal. 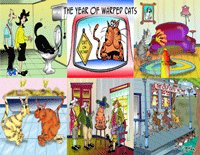 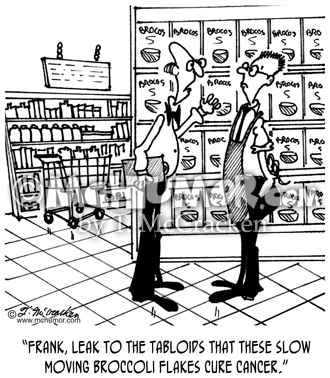 Cancer Cartoon 4674: A store owner with cases of cereal collecting cob webs says to his assistant, "Frank, leak to the tabloids that these slow moving broccoli flakes cure cancer." 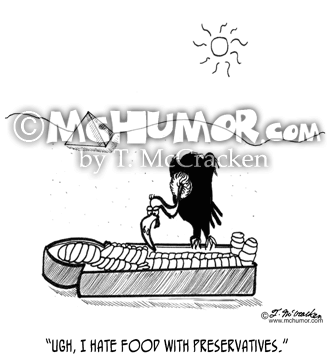 Archeology Cartoon 2664: A vulture eating a mummy saying, "Ugh, I hate food with preservatives." 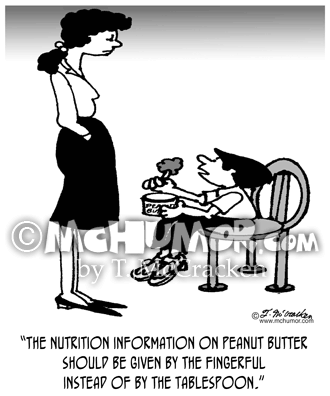 Nutrition Cartoon 3029: Kid with finger in jar saying, "The nutrition information on peanut butter should be given by the fingerful instead of by the tablespoon." 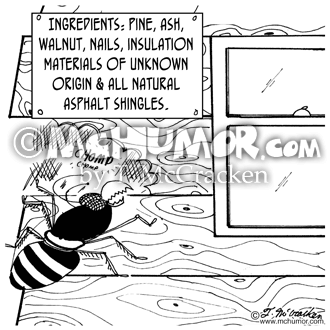 Termite Cartoon 4491: A termite eating a a house sees a sign, "Ingredients: "pine, ash, walnut, nails, insulation materials of unknown origin and all-natural asphalt shingles."